It is not very often that one has the opportunity to ride with an Olympic champion, but in the spring of 2014, Leslie Reid did just that – twice. 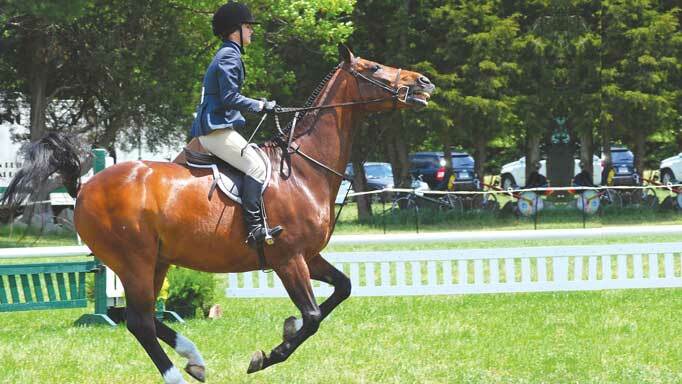 In March she was among a small group of riders selected to participate in Charlotte Dujardin’s first symposium in North America, at the Los Angeles Equestrian Center. Two months later, in early May, Leslie Reid rode with Anky Van Grunsven at a symposium hosted at Thunderbird Show Park in Langley, BC. In addition to a mandate to always ride forward, Van Grunsven and Dujardin both emphasized that the horse should be light and lightning quick in its response to the rider’s aids. The valuable specifics that Reid took away from each trainer reflected the individual talents have made Van Grunsven and Dujardin the champions they are. One of the first things that Anky did with riders at the symposium was to take whips and spurs away. It drives home the point of how sensitive the horse really should be. One of the most interesting exercises she had riders perform was both simple and incredibly revealing. Every time I made a correction in the contact with the horse’s mouth, she would make me finish it until the connection was absolutely correct. She frequently had riders come to a halt – from any gait – and remain in the halt until the horse accepted the contact. I don’t think we as riders take enough time to actually analyze how light the horse should be while remaining with the hand in the contact. Anky would tell riders to halt, and then she would have us stand there and think about that connection, often for as long as several minutes. Many riders are habituated to kicking and pulling at the same time. In the halt, Anky told us to take our legs off, but to remain stationary. If the horse backed up in response to the presence of the rein aid in the absence of the leg aid, the rider was directed to correct the horse by walking forward, then halting again and taking the leg off while maintaining contact. We were not to vibrate or “jiggle” the contact, but to maintain a steady connection with the bit. When the horse relaxes its jaw and accepts the contact at a standstill, only then is the connection correct. The correct connection was constantly a goal for Anky, at all gaits. 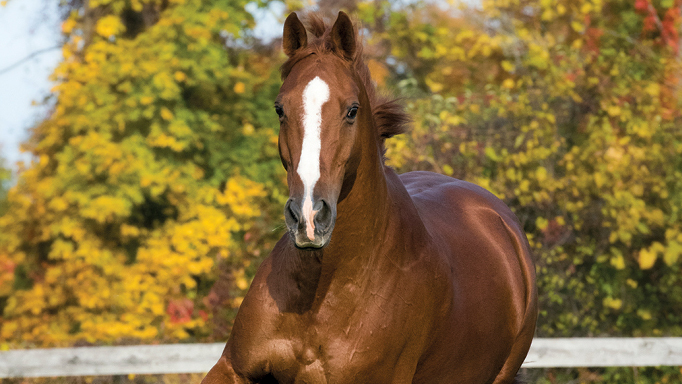 She would have me go very forward in the canter – a gallop, really – and then tell me to take some contact but not let the horse slow down, which was his automatic response to the increased contact. The aim was not to maintain the forward pace with the leg, but to expect the horse to stay forward even when I increased the contact. The use of one aid in the absence of another is not just useful in the case of using rein without leg. It can also be applied to using an aid on one side, but not on the other. Something I do in my own training but perhaps had not completely analyzed why is to ride the shoulder-in with only my inside leg. Anky explained that when you are pushing the horse sideways with the inside leg and then you apply too much outside leg at the same time, you are basically trapping the horse. She would direct a rider to send the horse forward, then lighten the outside leg while pushing with the inside leg. The result of lightening the outside leg was that the horse relaxed better, even with the very forward pace that Anky wanted. Her message was to make it simple, and don’t put on too many aids at once. If you have contact on both reins, and are driving with both legs, the horse will feel that he has nowhere to go. With an inexperienced rider whose aids may not be clear, the negative effect of too many aids at once is made even more detrimental. For an experienced trainer like myself, the most valuable lesson to be gained from Charlotte is to simply watch her ride. I’ve never seen anyone with that degree of balance and correctness of position, and it never changes. On the young horses she rode, she always went really forward and frequently used leg yield to get the horses more loose and supple in the back while taking hold of the contact. When she rode my stallion, Kobal, her position never changed, whether she was doing an extended trot or one-tempi changes. I had the impression that she always gave the horse help, and never interfered. She always rides only forward, and the horse never seems to have a chance to dwell behind the leg. 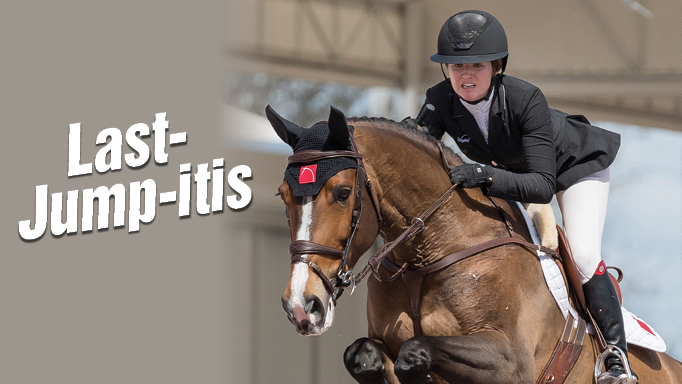 Watching Charlotte ride was a lesson in what is possible when you always ride correctly. She is an absolute natural talent. It is not surprising that when she teaches, Charlotte puts great emphasis on a correct position. At one point she even said that “short reins are a key to a gold medal.” She expected the riders to always maintain the same length of rein and to sit exactly the same, from tempi changes to piaffe. When the rider is consistent in her position and balance, the horse never receives contradictory messages from the aids, which allows the horse to trust the rider and to have the same expectations. The truly correct position is one, as Charlotte demonstrates, that is always maintained with suppleness. 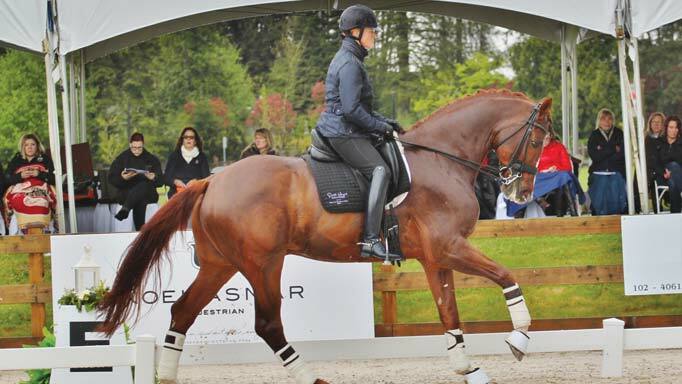 In my own teaching, I use a sequence of lateral exercises to help the rider develop an understanding of the importance of remaining balanced and correct in her position. If your core is not strong, when you apply one leg, such as the outside leg in a half-pass, you will inevitably shift your weight to the side of the driving leg to compensate for that lack of core strength. Not only are you now not in balance, but your weight is actually in the opposite place it needs to be to help the horse perform the movement. The sequence I have riders perform to help them feel where they are not remaining balanced in their position involves circles, leg yield, and half-pass. The exercise can be performed at any gait, but I often start at the walk, especially with riders who have not yet developed an independent seat. 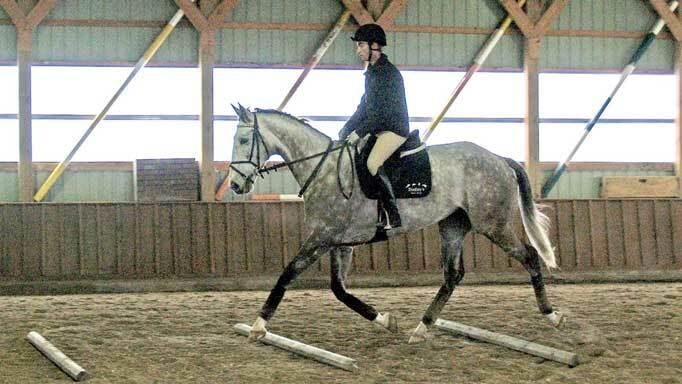 Some riders are already struggling to just sit the trot; from that place, it’s very difficult to the adjust balance, sit the trot and then influence the horse with the aids. Just as Anky reminded us with those prolonged halts, you have to slow down and think about things. The rider has to have the time to think about and adjust balance issues. In my exercise using circles, leg yield and half-pass, I will have a student start with a ten-meter circle. Loss of positioning and balance will already start on smaller circles, as riders naturally tend to lean either in or out. As the circle is finished, the rider then leg yields, focusing on influencing the horse from the driving leg without losing a balanced position. The rider then goes into another circle, and following that circle may either leg yield again or go into a half-pass. The details of whether it’s leg yield or half-pass are not the main point; what is important is to help the rider find the weaknesses in strength or coordination that cause her to lose position as she applies one leg or the other, or turns one way or the other. One of the most difficult behavioural vices with which to deal in a show horse is in-gate sourness.